Optional RotoPax Mounting location for up to 2 x 3 gallon packs, RotoPax Mount (example Rotopax #DLX Pack Mount) is not included. 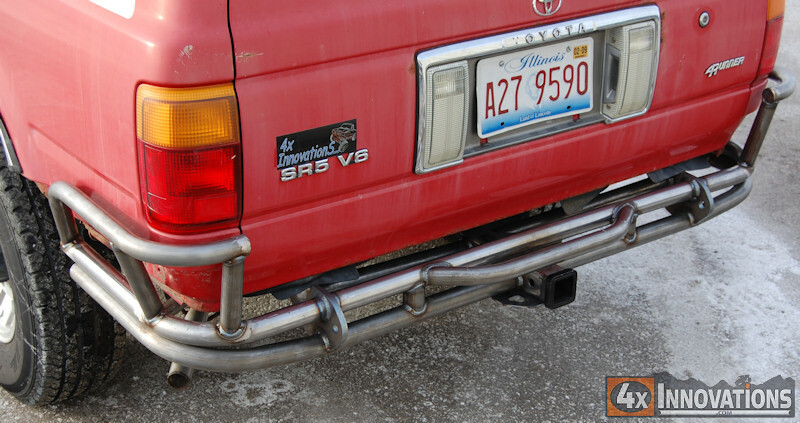 One of the most forgotten and neglected, but important, parts of any off road truck is a solid rear bumper. When you wheel your truck, chances are you're going to come across a time when you have to drive down off a ledge or very steep hill. This ledge might want to take a giant bite out of the back side of your rig. 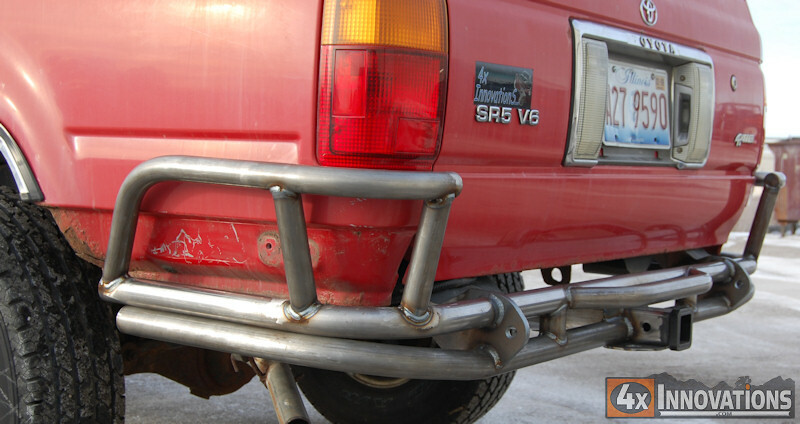 The factory bumper also does not provide that heavy duty tow point you need when getting out of sticky situations. 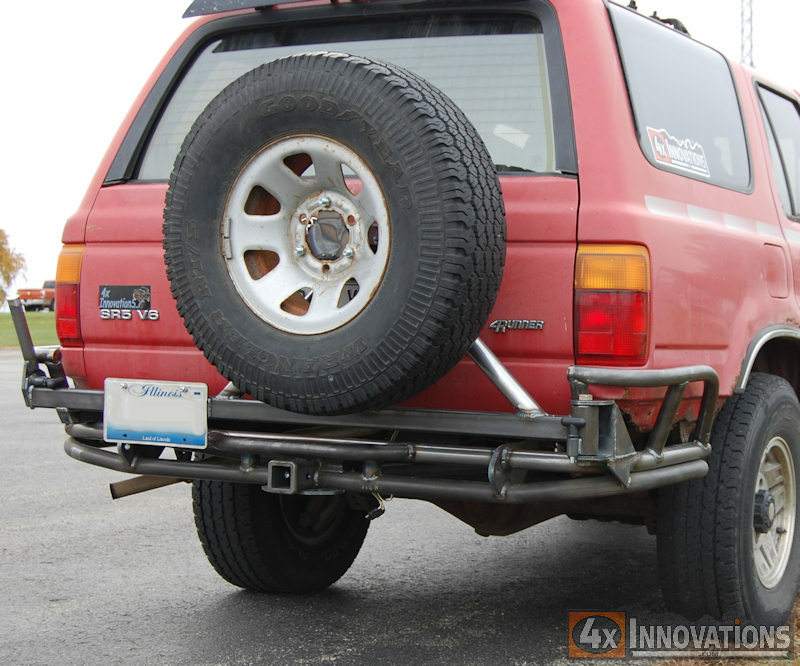 4x Innovation's Rear Tube Bumpers are designed to withstand the hardest of hits and the toughest of tugs. Made from 1.75" DOM steel tubing and heavy gauge mounting plates, they include superior support with 2 D-ring shackle mounts and wrap around side protection that is tied directly to the frame mounts. 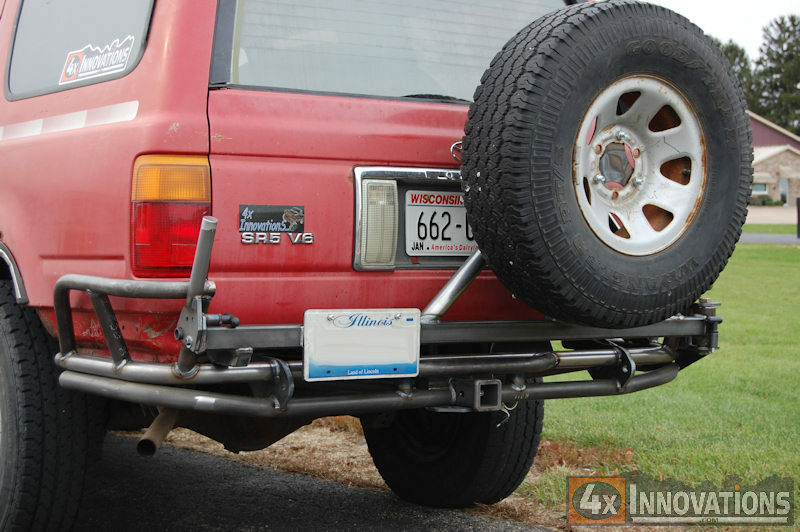 The built-in hitch is rated as a class 2 hitch. Monstrous high grade steel mounting plates have a 3/4 inch hole for mounting any standard D ring shackle. 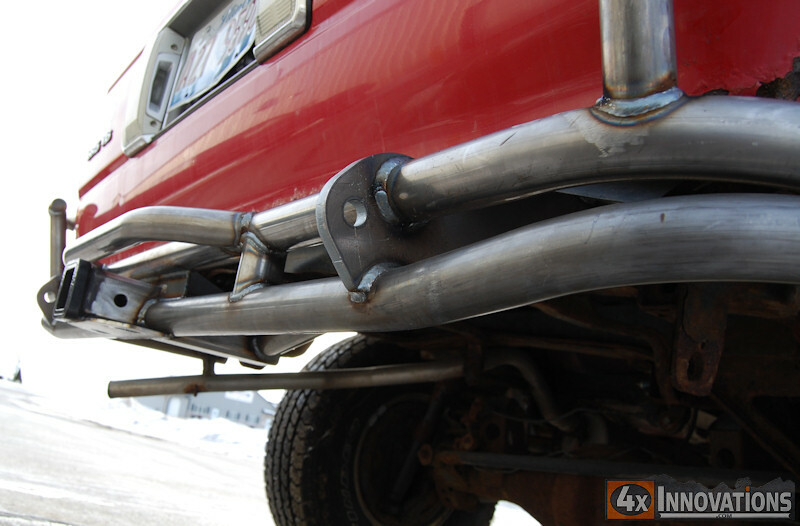 It also supports and encapsulates all main bumper tubes.